Jakarta, 2018 – Calling all L.O.Λ.E! 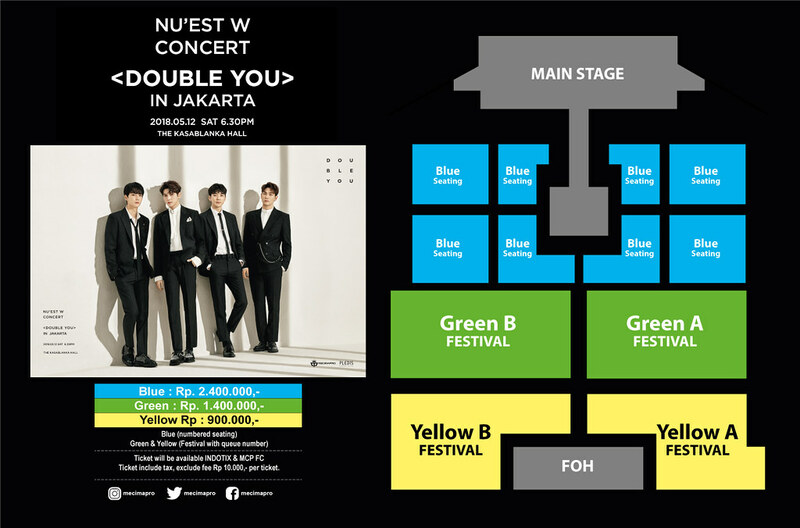 NU’EST W is set to meet their fans in Indonesia through their first concert titled NU’EST W CONCERT <Double You> in Jakarta. NU’EST W has been preparing thoroughly to give Indonesian L.O.Λ.E amazing performances. 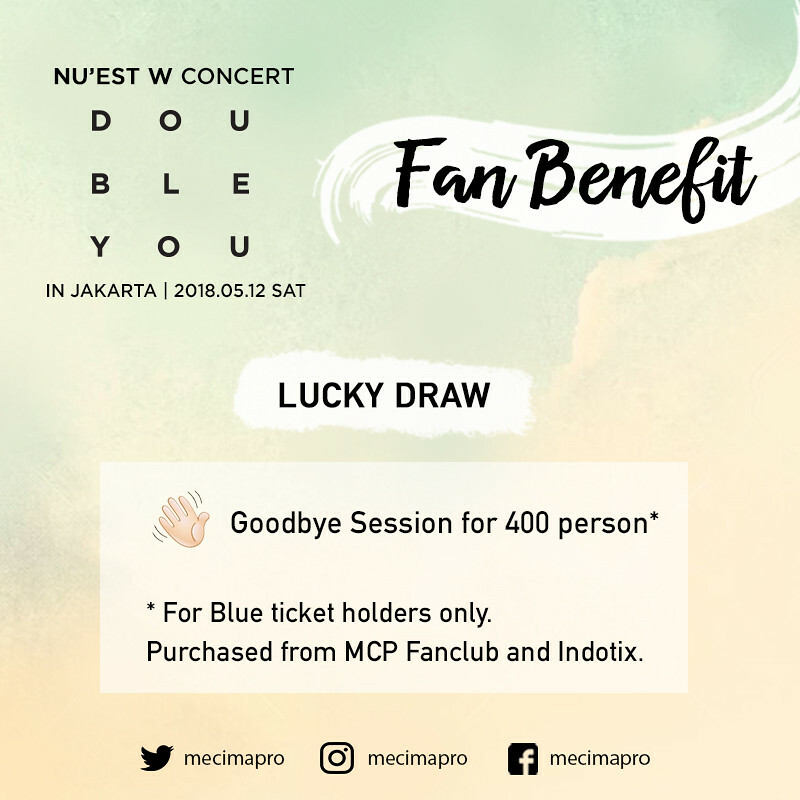 MecimaPro, as the promoter of this concert, has officially announced that NU’EST W will be greeting their fans on Saturday, May 12th, 2018 6:30 PM at The Kasablanka Hall. NU’EST W (뉴이스트-W) is the sub-group of PLEDIS Entertainment’s boy group called NU’EST (뉴이스트). The name NU’EST itself stands for Nu Establish Style Tempo, and it means ‘creating music with a new style’. This five-membered group debuted with their first digital single titled Face in 2012. The group established a huge amount of popularity due to their unique style of music. The four NU’EST members (JR, ARON, BAEKHO, and REN) formed a unit with the name NU’EST W. Given that NU’EST W does not include all five members, the W stands for ‘Wait’, meaning the boys are waiting to come together again and meet their fans as one complete group. 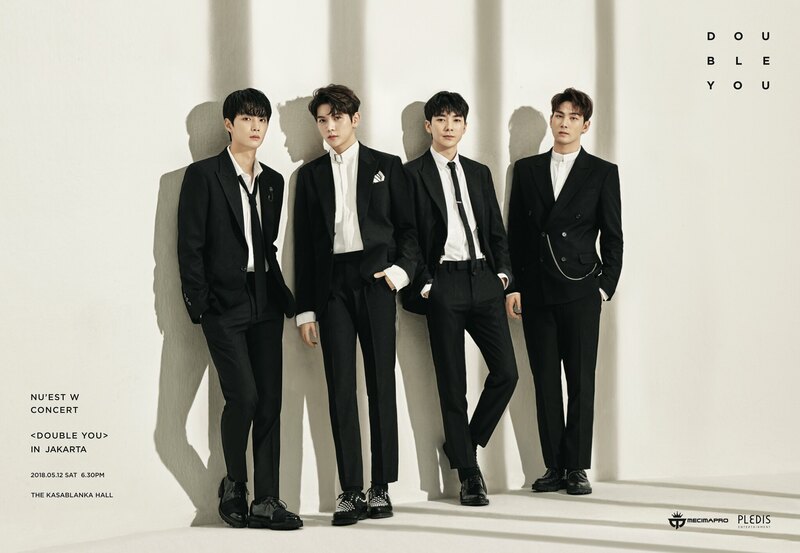 NU’EST W released their first single titled If You in July 2017 and also managed to sell out their August 2017 fan meeting <L.O.Λ.E & DREAM> in Seoul. The group then released an EP titled W, Here in October 2017. 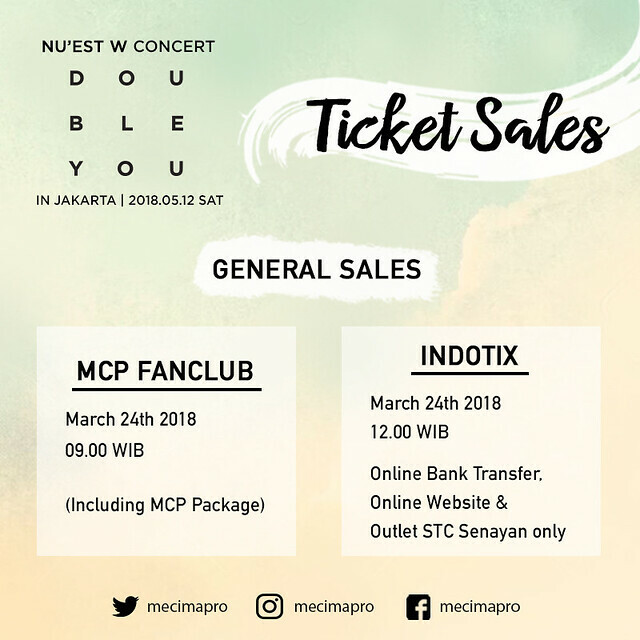 NU’EST W CONCERT <Double You> started in Seoul on March 16th 2018 with a 3-day show. NU’EST W will showcase breathtaking performances and exciting stages while also meeting their fans closely through this event. 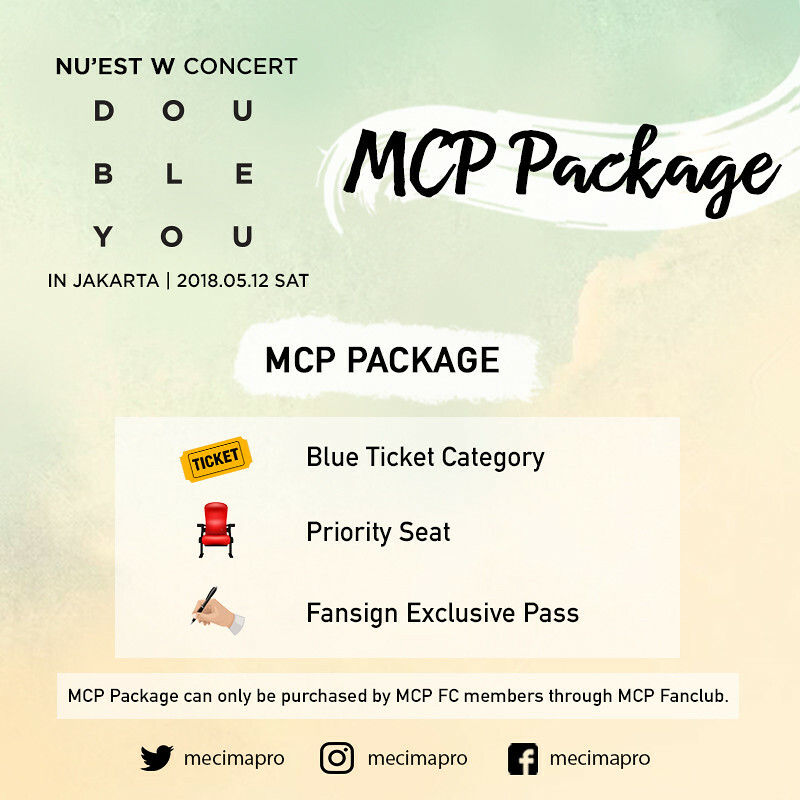 MecimaPro has announced the seating plan and ticketing details of the event through its official social media accounts. Kindly follow MecimaPro’s official Twitter, Instagram and Facebook account (@mecimapro) for more details.